St. Bede’s Episcopal Church is hosting Author Greg Garrett for a public lecture on Saturday, October 20 at 10 am. In recent years, declines in every Christian denomination and the rise of the so-called “Nones” (as in “None of the Above”) have dominated conversations about religious life in America. What these statistics don’t indicate, of course, is that those of us who have chosen the Episcopal Branch of the Jesus Movement have tangible gifts to offer our culture and the larger world: liturgy and beauty, hospitality and welcome, a passion for peace and justice, and wonderful stories. 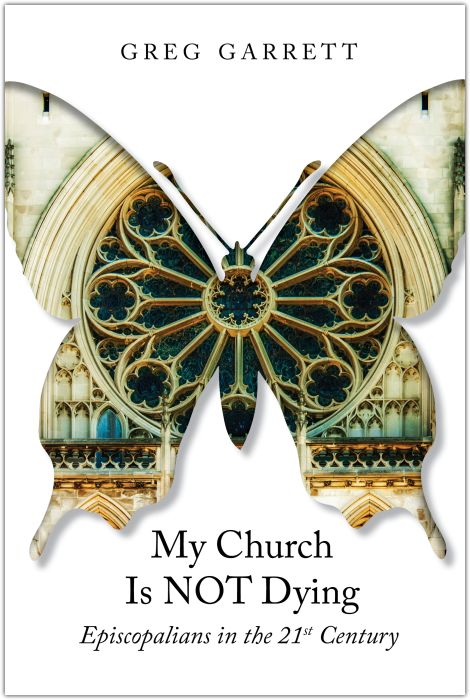 Join Greg Garrett, author of My Church Is Not Dying: Episcopalians in the 21st Century, to hear some of those stories and engage in conversation about how God is moving and the Church is following. Greg Garrett is, according to Barbara Brown Taylor, “one of the Episcopal Church’s most engaging evangelists.” The author of twenty-five books of fiction, theology, memoir, and cultural criticism, he is Professor of English at Baylor University, Theologian in Residence at the American Cathedral in Paris, and a licensed lay preacher in the Episcopal Church. He lives with his wife Jeanie and their family in Austin, Texas. This lecture is free and open to the public. No reservations are required. A light reception will follow.